إن فندق أول سويتس بيرث بموقعه الممتاز في هذه المنطقة السياحية هو نقطة انطلاق جيدة لنزهاتك في هذه المدينة المذهلة. يمكن من هنا للضيوف الاستمتاع بسهولة الوصول إلى كل ما تقدمه هذه المدينة النابضة بالحياة. سوف يعشق النزلاء موقع هذا الفندق، فهو قريب من أهم المعالم السياحية في المدينة . ببساطة كل الخدمات وأساليب الضيافة التي تشتهر بها 8Hotels Collection تجعلك تشعر وكأنك في بيتك. لضمان راحة ضيوفه، يقدم الفندق الخدمات التالية: واي فاي مجاني في جميع الغرف, مكتب الاستقبال على مدار الساعة, مرافق مخصصة لذوي الاحتياجات الخاصة, تخزين الأمتعة, واي فاي في المناطق العامة . استمتع بوسائل الراحة الراقية في الغرف أثناء إقامتك هنا. بعض الغرف تتضمن تلفزيون بشاشة مسطحة, سجاد, بياضات, مناشف, إغلاق لمساعدتك على استعادة طاقتك بعد يوم طويل. كما أن مجموعة الخدمات الواسعة الموجودة في الفندق لضمان راحتك تترك لك الكثير من الخيارات لقضاء وقتك أثناء فترة إقامتك. استمتع بخدمات لا يعلى عليها وعنوان ذو اعتبار في أول سويتس بيرث . مكتب الإستقبال مفتوح من 07:00 صباحاً إلى 09:00 مساءً الضيوف الذين سيصلون خارج هذا الوقت يطلب منهم التواصل مع العقار مباشرة قبل موعد الوصول لترتيب هذا الأمر. تُطبق رسوم إضافية بنسبة 1% على جميع عمليات بطاقات فيزا وماستر وأمريكان إكسبريس وداينرز كلوب واتحاد يونيون باي. Would have been helpful if I had been pre-advised that "limited housekeeping" actually meant that the bin wouldn't be emptied or fresh towels provided for my whole 4-day stay. A clothes dryer in the room to go with the washing machine would also have been useful. Otherwise, no complaints at all. Every single staff member was friendly and helpful with big bright smiles. 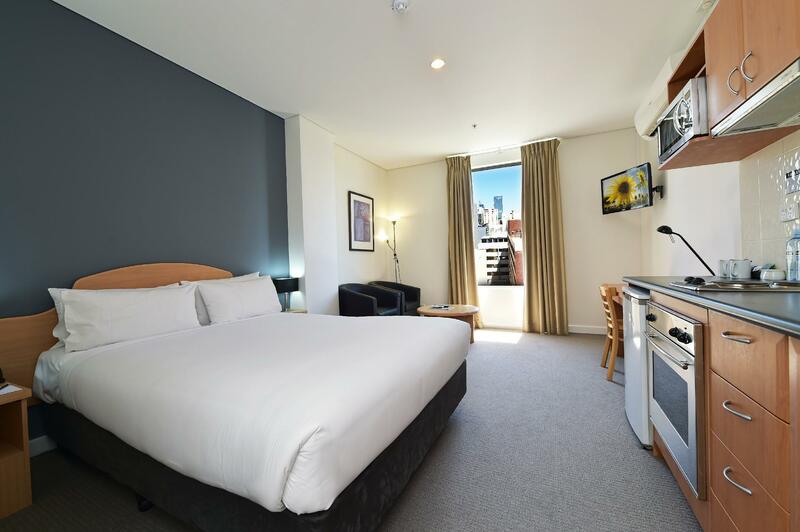 Perfect location to explore Perth CBD. The "Red CAT" bus stop is only metres away (free transit in CBD). You can catch any bus on nearby St Georges Tce back to the hotel for free. Great Japanese restaurant in foter and great Indian restaurant on next corner. Very quiet room as requested. Neat and tidy. When a very noisy group were in a nearby privately owned apartment, the staff moved us to a higher floor with a free upgrade! Near to the city. Complete with all facilities. Parking car have to reserve 28aud per day with good security. Will repeat stay in here. The kettle provided is rusty. Kitchen facilities looked very old and dirty. But room and toilet is spacious. We only check in 1 night and found another cheaper hotel nearby with super clean kitchen and new kitchenware. We had to park our car by the street and only free from 6pm-8am as their carpark is fully booked. It cost AUD10 for 2 hours carpark (8am-10am). The staff is friendly and helpful. Great location, comfy bed, good facilities including a washing machine. Excellent customer service! We arrived quite late, after the reception had closed but after hours check-in was arranged well and we had no problems getting access to our room. Highly recommend! Never had a complaint, room was good with all facilities you need, lots of cafe and resteraunts nearby, bus stop around the corner. Bed was comfortable, and lovely Japanese restaurant on the ground floor, with Hula Bula bar underneath. Hay street mall just a 5 minute walk. Positive: Very centralized location, walking distance to everywhere, very convenient. Don't really need to travel very far for everything. Clean apartment, kitchen well equipped making it easy for us to cook simple meals. Room is exactly what was posted online. Spacious and perfect for 2 adults. Housekeeping was done promptly as well. Front desk 24/7, so anything else there will someone attending to your queries. Negative: Shower tap water was either too hot or too cold, whenever we adjusted to our preferred temperature, it would become too hot in the middle of the shower. On Saturday night we could hear loud music from the bar below as we were only on the 4th floor. Limited parking so please pre-book your parking slots prior to your arrival. Hope this helps! All Suites located around the corner from Hay Street (main street) and only 3 blocks from centre of city. Free buses available just around the corner and a block away in the opposite direction. Room included self catering facilities. Receptionists very pleasant and helpful. Overall we could not fault our room etc. We stayed in All Suites Perth for only a night while we were in Perth. Superb location. It was walking distance to places like Elizabeth Quay, Langley Park and Wellington Square. The rooms were reasonably fine. Staff were helpful. However, please do inform and book for parking if you are driving there. They got limited parking spots. 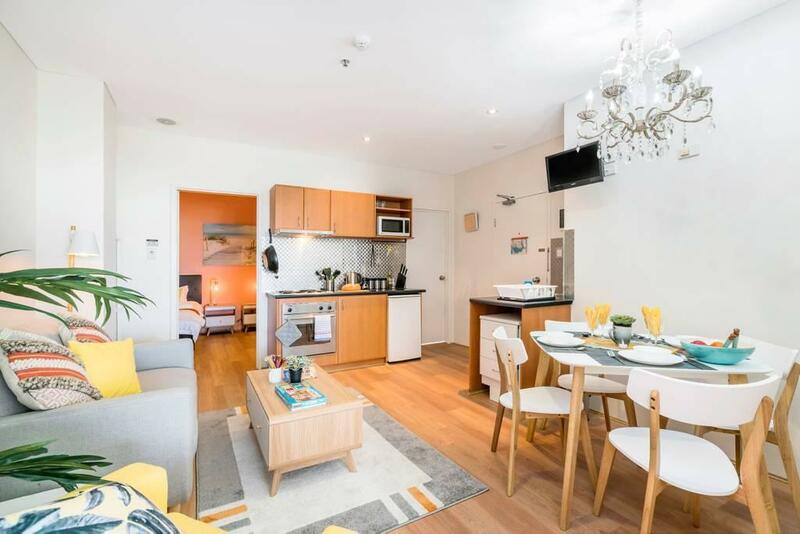 I was only staying overnight, however if I had been staying for several days this would have been an ideal property where you could wash/dry clothes and prepare meals in your kitchenette. 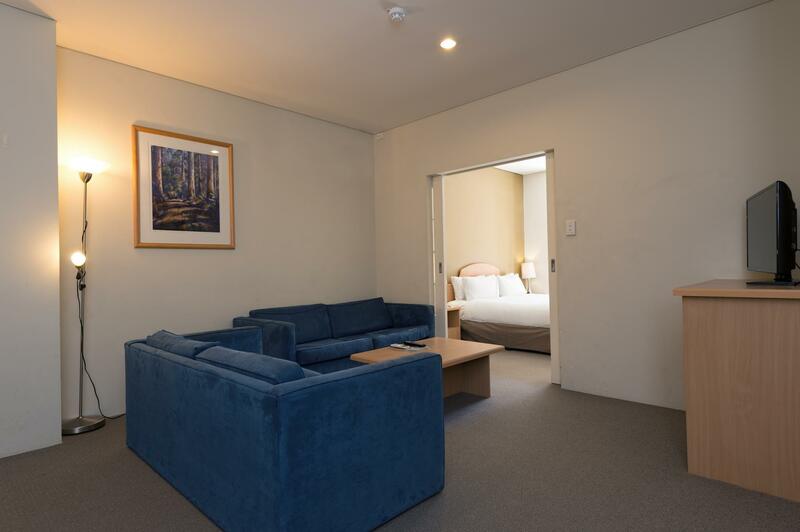 It is a reasonable walk or a short Red Cat ride to the shopping malls and would be a convenient property for anyone needing to stay nearby to Royal Perth hospital. Hotel location was the first reason I have chosen this hotel. Second reason was because of the review regarding the room which was to our satisfaction. The bed was super comfortable. However, front desk staff service need improving as to be more friendly and approachable. Booked the 1 bedroom apartment. Very spacious, clean and comfortable. Kitchen utensils, pots, plates etc were provided, which abled us to make ourselves (light) meals. Location is great. A Red line CAT stop is probably 15 metres away but we walked everywhere most of the time. Friendly and helpful staff. Totally recommended! We stayed for a week, and the place is all that you can ask for. Location was superb, walking distance to Hay Street and the parks nearby, pick up for Uber was easy as well. We travelled with a toddler so the suite was nice in terms of space and being safe. The staff was friendly, although we arrived after midnight and left close to midnight, we were entertained accordingly. 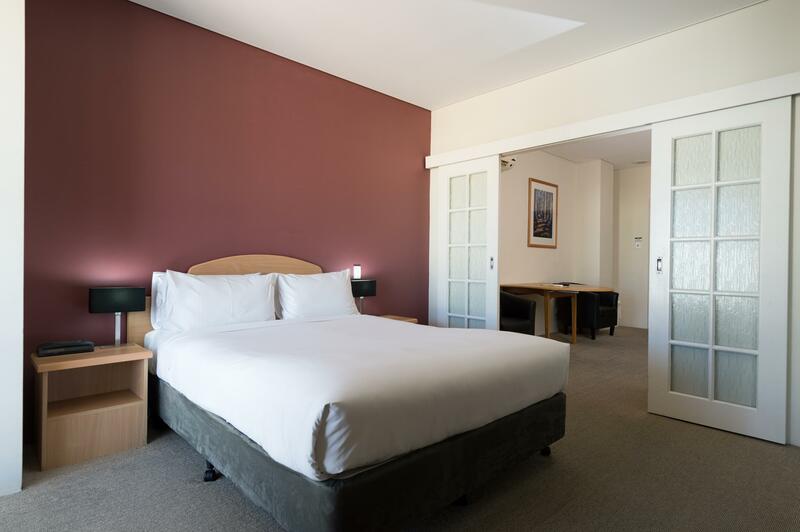 Rooms are being cleaned daily basis, towels replaced... after a day out exploring, a clean room is all that you can ask for! The hotel room was clean and tidy and fully equipped with facilities, including free wifi, sofa, coffee table, kitchen equipments like oven, microwave, utensils etc., fridge, iron and iron board, hair dryer etc. Our room had a big window facing Perth city view,(window couldnt be opened tho), which offerred a nice view. Clean sheets and comfy bed, an easy stroll to the riverside and convenience store, everything was nice and easy. However, beware of the mineral water in the room, it's not free and it was priced at AUD4 a bottle. Nevertheless, we will still want to stay there again the next time we travel to Perth. For a place to rest after a long day, it fits the bill though the bed is alil to small and too soft as we literally sinks into it. It has the basic necessity so was good. Convenience store is about two blocks away, tuck away in a quite street. We booked this hotel due to its location near to Barrack St as we need to catch the early ferry to Rottenest Island. Yes! location is great!! very near to jetty. Kitchen utensils is completed. but somehow no user guide for washing machine. We were not being informed that the mineral water is chargeable, not seeing any pricing sign within the room as well, end up pay for USD4/bottle. Luckily the cleaning lady has forgotten to refill on 2nd and 3rd day (I think so).. To access to the hotel from airport -- just take city bus 380, get down from Victoria Ave, and walk for less than 5 mins. very easy. Location is excellent. Easy access to the free Red CAT bus for us to commute within the city’s CBD. The bus stop is just nearby along Hay Street. The two-bedroom unit which we have stayed for 7 nights, is quite cramped with a small combined kitchen and living room space. Kitchen is adequately equipped for us to cook simply meals. We changed to another similar unit on third day as we needed a laundry washer with dryer. Apparently laundry washer in some units are without dryer. Staff are friendly and very helpful with our tour booking. 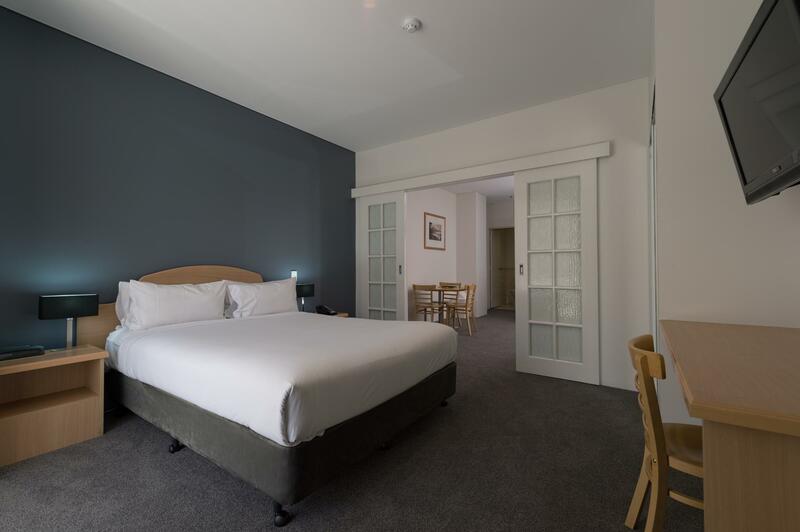 We had a one bedroom suite which was perfect for our needs for 2 nights in Perth. Fabulous location for walking to main sights. Staff extremely informative. Would stay here again and recommend it to others.